a. 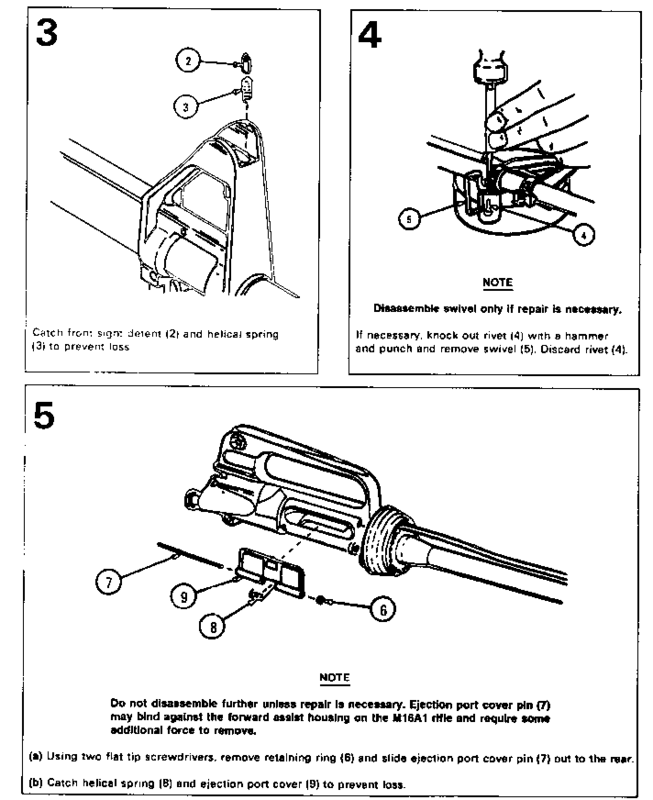 This section contains troubleshooting information for locating and correcting most of the operating troubles which may develop in the 5.56mm Rifle M16 and M16A1. Each malfunction for the individual component, unit, or system is followed by a list of tests or inspections which will help you to determine the corrective actions to take. You should perform the tests/inspections and corrective actions in the order listed. b. This manual cannot list all malfunctions that may occur, nor all tests or inspections and corrective actions. If a malfunction is not listed or is not corrected by listed corrective actions, see individual repair sections for maintenance instructions on each major assembly. 3-7. TROUBLESHOOTING PROCEDURES. Refer to troubleshooting table for malfunctions, tests, and corrective actions. The symptom index is provided for a quick reference of symptoms covered in the table.